The MTV series of two and three port motorised valves have been designed to manage and control the flow of water on your heating and domestic hot water systems. 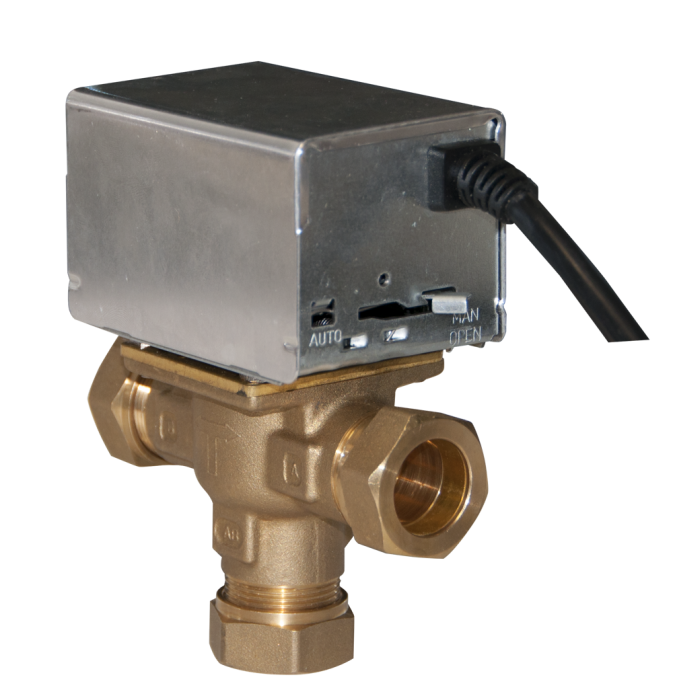 The 2 port MTV normally closed models have end switches for electrical control of pump and/or boiler. The 3 port midposition valve has been designed to control the flow of water in domestic central heating systems, where both radiator and hot water cylinder circuits are pumped. + Suitable for heating and domestic hot water systems. + Standard compression fittings dimensions.